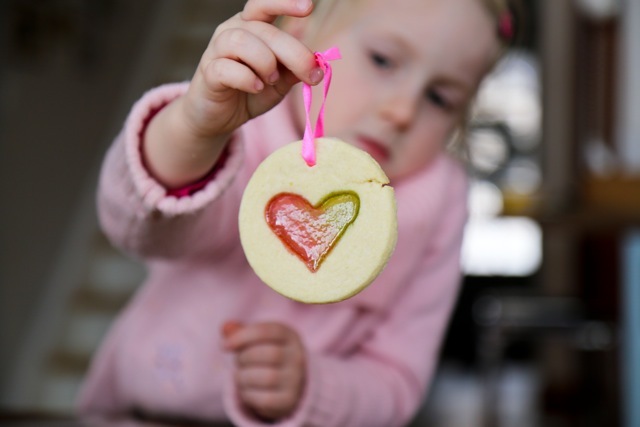 There are so many amazing Valentine’s Day crafts and ideas out there but, to be honest, it just feels like I was in the thick of the Christmas holidays. 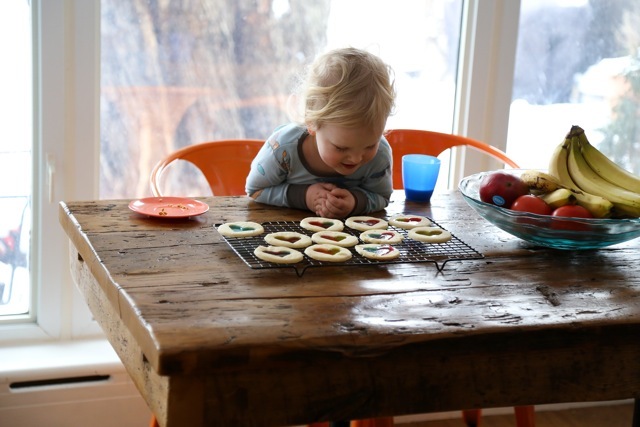 Any crafty ideas this time of year need to be satisfying, simple, and pretty speedy to do. These adorable stained glass window cookies not only look cute, but make a great Valentine’s gift or addition to a February lunchbox. 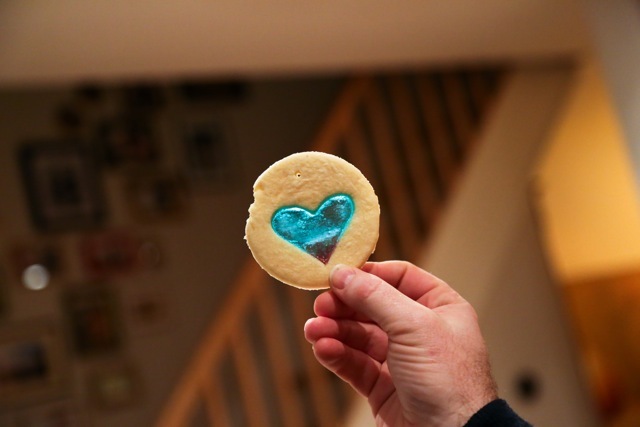 These cookies are essentially sugar cookies with the centre cut out and filled with meltable candies. 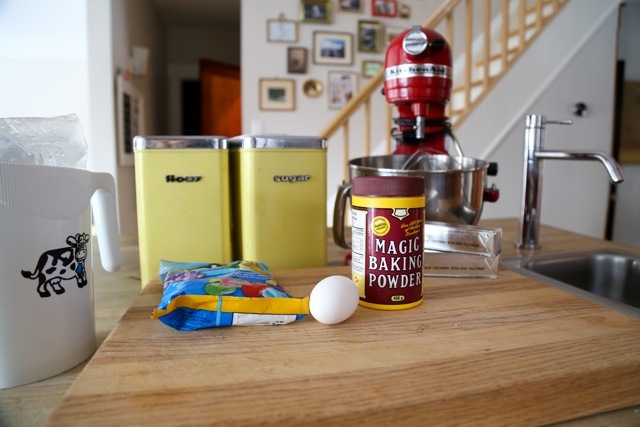 Feel free to use your favourite recipe here, if you have one, but for the purpose of this post, I’ve included the recipe I used. 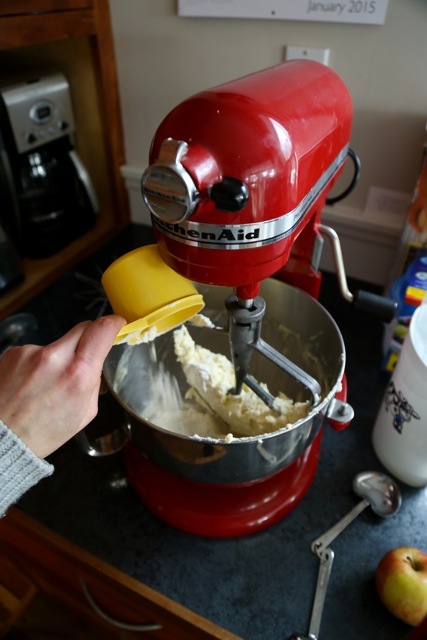 First step is to make your cookie dough — read the recipe I used, or follow your own. 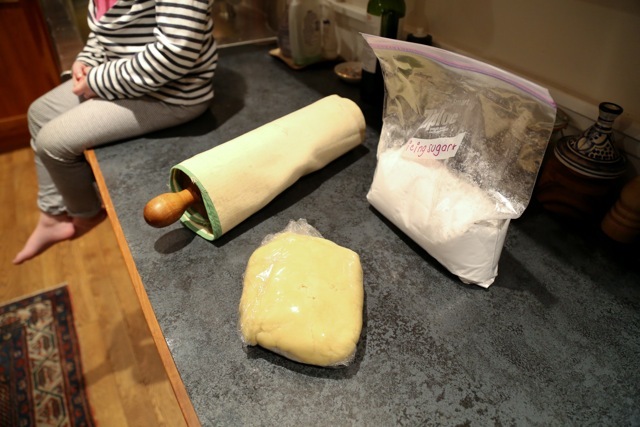 Once your dough has chilled, roll it out until it’s thin…but not TOO thin. 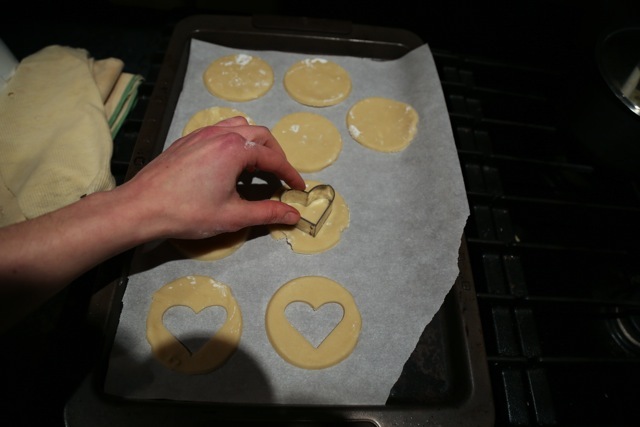 I kept rolling out the bits of dough until I’d used it all up — I put all of the cut out cookies on a parchment-lined cookie sheet. 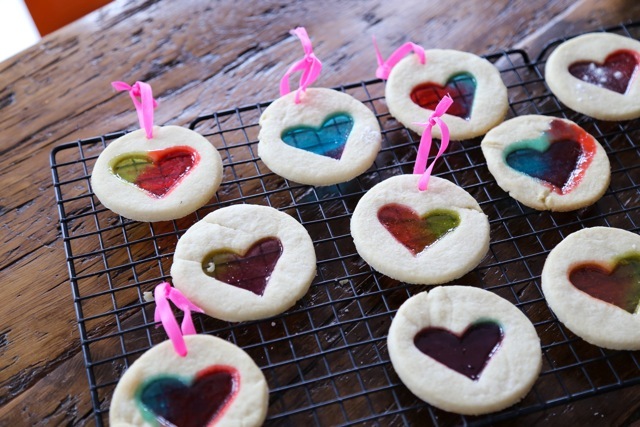 I loosely chopped up the Jolly Ranchers (you don’t need to, but I wanted a mix of colours in each cookie) and put the equivalent of about one candy in each heart-shaped space. 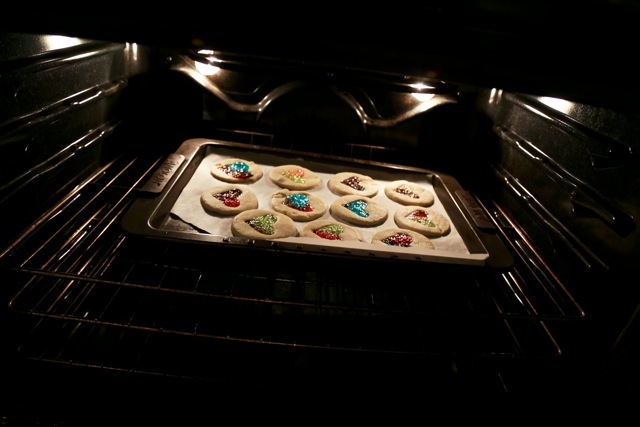 Bake the cookies at 375 C for about 8 minutes — then be sure to leave them on the cookie sheet for awhile. I left mine at least half an hour before removing. When they come out of the oven, I pushed the small end of a chopstick in the top of some of my cookies so I could tie a string through them like an ornament. Once cool, they’re fragile but good to handle — you could package them up as a gift, or hang them from a window as an ornament to collect the light.